The BBC has claimed an empty channel number on Freeview for local radio. Freeview channel 726, previously allocated to U105 in Northern Ireland until its withdrawal from the platform last year, has now been claimed by the BBC for use in England by its local radio stations. In an unannounced move, BBC Radio Solent for Dorset and BBC Radio Stoke have this week been reassigned to channel 726. They were previously assigned to channel 734, and may still appear on 734 on non-autotuning Freeview receivers. The change means BBC Local Radio in England is now found on one of six Freeview channels, depending on where you live: 719, 720, 721, 726, 734 or 735. 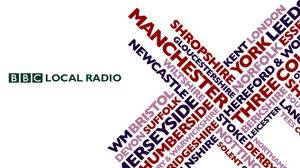 BBC Radio Stoke is broadcast on some transmitters in the West Midlands TV region and in the North West TV region, due to its editorial area overlapping two TV regions. BBC Radio Solent for Dorset is carried on transmitters in the South, West and South West TV region, due to Dorset being split three ways in terms of TV regions.